The iPhone 5 rumor season has officially started, so from now until the next iteration of Apple's smartphone is actually released we will hear all kind of rumors - some plausible, others unlikely and a selected few may even turn out to be true! Let's go to the point though - Korean sources claim that the iPhone 5 is to be announced and launched in late June, which means it will miss WWDC 2011 as the event is scheduled to take place between June 6 and June 10. The second part of the claim - that the next-gen iPhone will miss WWDC 2011 - only reiterates intense speculations that this year's event will be focused mainly on software. Unfortunately, it is the first (and more important) part of the claim that looks dubious to us. The rumor allegedly originates from the Korean carriers KT and SK Telecom - they (reportedly) informed ETNews that they will offer the device "along with or soon after" other countries in late June. However, as the guys at Electronista point out, the Korean carriers usually get the newest iPhone months after its release in other countries, and it would give the iPhone 4 a short 3 months reign as the latest and greatest Apple handset available in the Korean market - something which looks very unlikely indeed. 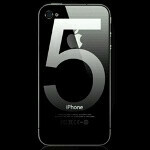 Other rumors center around a Q3 launch for the iPhone 5, with some of them claiming it will pack an 8MP camera produced by Sony. There was a time I would have been excited to hear this. I bought the first Iphone when it came out and was wowed. I also bought the 3g, 3gs and Iphone 4. Along the way, things went stale. I am actually trading my Iphone 4 tonight for the HTC Thunderbolt. Until Apple quits playing catch up and actually tries to get back ahead of the game I personally will have trouble caring about the "new" iphones. Don't get me wrong, I love Apple computers but the phones are not too impressive anymore. good choice in my opinion. and i feel you 100% about apple got stale and is sitting on something that was great years ago as if they are the masters and no changes are needed. And how exactly am I a fandroid when I own a Imac, Ipad 2 and up until about an hour ago a Iphone? That is a very narrow minded and ignorant comment by you my friend. I am having the exact same problem as you. Plus im not to sold on the thunderbolt and its specs. I hope something like the evo 3D comes out on verizon in the future, but with out the 3D of course.. Same here. I am an Android guy, but I played with my mom's iPhone when I visited her, man is that thing smooth. do I stay wth Android or go jump on the wagon? Well the date can't be released because then the phone won't get as much hype. And iOS is probably the best as in apps and normal software but i think its getting a bit boring now because i see it all the time. Android is good for this because i JUST LOVEEE the widgets, but the phone isnt as good to use on android. I would get the android now because i have used to have an iPhone. I am lovinngggg the widgets.. they are amazing and the live wallpapers are just OOFFT. Rushes? So you probably think that the iphone team over at Apple took a long vacation after the ip4 was release and just started reporting back to work on the ip5 yesterday and they only have 2 months left to work on the ip5 if they stick with the June release, right? LOL. Apple has already started working on the ip5 even before the ip4 was released, idiot. So how can you say "rushes". Apple's challenge here is their hardware parts suppliers, which some of them are manufactured in Japan. It doesn't make any sense for the iphone to be released at a later date than what the customer is accustomed to. Apple has set expectations and patterns that customers are comfortable with and trust; I highly doubt they would break that cycle. The release of iOS5 at a later date makes more sense. To try and release a brand new system with a brand new phone leaves more room for errors. Being able to address any problems that may present themselves with the new phone between June and the future iOS release, will be easier and more efficient to deal with by themselves than dealing with possible iOS problems as the same time. Hurry throw away your iPhone4 the all new iPhone5 is here and it's got a whole new... nothing. You obviously do not know what you're posting and is merely hating. Well I have Verizon. Right. Now. I have an iPhone. 4 my boyfriend. Has the thunderbolt. 4g. I think there. Both. Nice. Devices. But im. Kinda. Liking. More. The. Android. Operating. System. I got. My Verizon. IPhone. When. It first. Came. Out. And im. Bored. Of it.the only thing I like about it. Its the retina. Display which I admit. Its amazing waay better than the thunderbolts display. But I'm tired of things like when I go to amany websites I get a message saying please install. Adobe flash player my boyfriend doesn't get that same message on his thunderbolt on the same pages . Maybe if the 5 th iphone uad flash player I would maybe gett it also if it. Had 4 Lte connectivity that would be amazing cuz verizons 4 g is crazy fast. I seen it. With my own eyes. But most lilely the iphone 5 wont have any of those things I think I will be getting a. 4 g android phone ..
lol when anyone was reading this were there like mini pauses in ur head? not another iphone,apple lacks design all their new products look like the previous ones, slightly new specs and $100 more.what next after iphone 6,iphone 7 specs 1hr battery life, flash player and better siginal doesn't require your hand to hold the phone a certain way.year after,iran sneakers with a ipod dock $500 while you run you charge your ipod and listen to music.